I SPEAK ART: The Art Exhibit That Will Educate & Liberate. Curated by Rasta Asaru The Creative House Gallery continues to wow us with it’s artist selections for it’s shows. 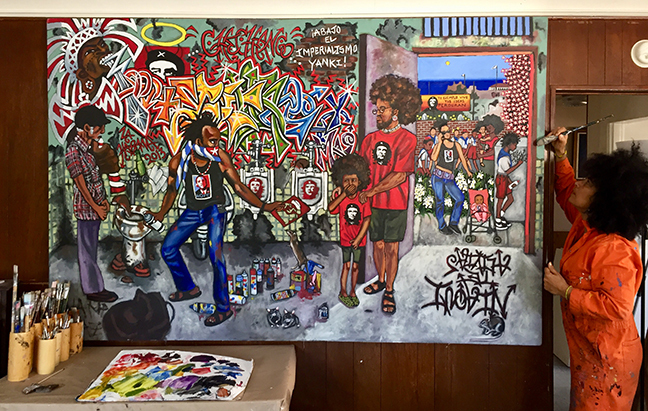 This one is no different, with spectacular visual artist Lili Bernard, Salkis Re, Robin Strayhorn, Gleniel Van Johnson, Adrienne DeVine, and Timothy Washington. The masterpieces in this exhibition are sure to speak to you and invigorate the resilience of the human spirit. It’s like each piece is in harmony with the other creating a symphony of visual delights that exude creativity.